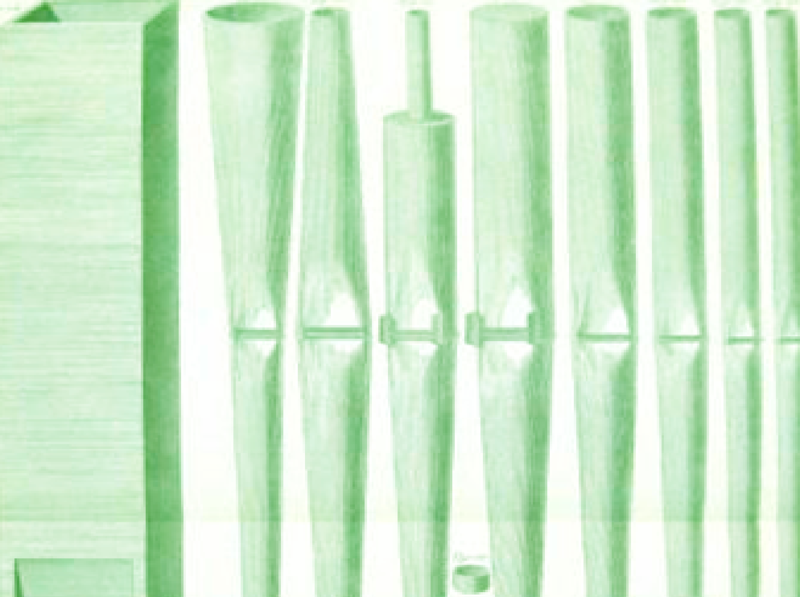 The four-volume treatise entitled L’Art du Facteur D’Orgues (literally, The Art of the Organ-Builder ) published by the Benedictine monk Dom Bedos de Celles between 1761 and 1776 contains detailed descriptions of the multifarious techniques used by eighteenth-century organ builders. Much of what was described by Dom Bedos reflected the accumulated knowledge of organ-builders over the preceding centuries. 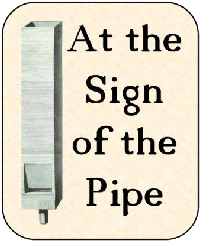 But to the extent that such things were ever really ‘craft secrets’, they are described in such detail that the treatise has been, and continues to be, used as a workshop manual. 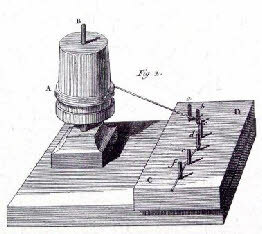 Although the industrial revolution that began in late eighteenth century led to numerous innovations in organ-building, many of the basic methods described by Dom Bedos continue to be used. 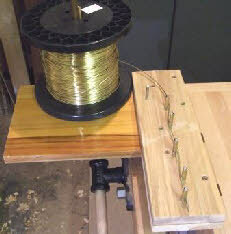 One such example is a simple tool for straightening hard brass wire to make pallet springs. Figure 1 is the illustration from Dom Bedos and Figure 2 shows my version of it. 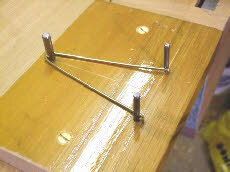 The straightened wire is then used in the even simpler jig for making the springs themselves as shown in Figures 3 and 4.